Established in 1980, the Muffakham Jah College of Engineering and Technology is a premier institute of its kind, offering four year B.E. 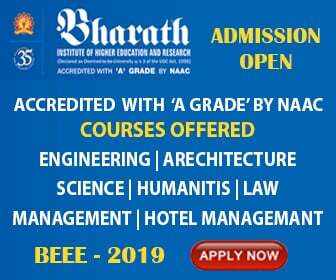 degree courses in 8 Engineering branches, namely, Civil Engineering, Computer Science and Engineering, Electrical and Electronics Engineering, Electronics and Communication Engineering, Information Technology, InstrumentationEngineering, Mechanical Engineering and Production Engineering and two post graduate course viz M.E(CAD/CAM) of two years duration and MCA of three year duration. Address: Mount Pleasant, 8-2-249, Road No.3, Banjara Hills, Hyderabad - 500 034. Andhra Pradesh, India.